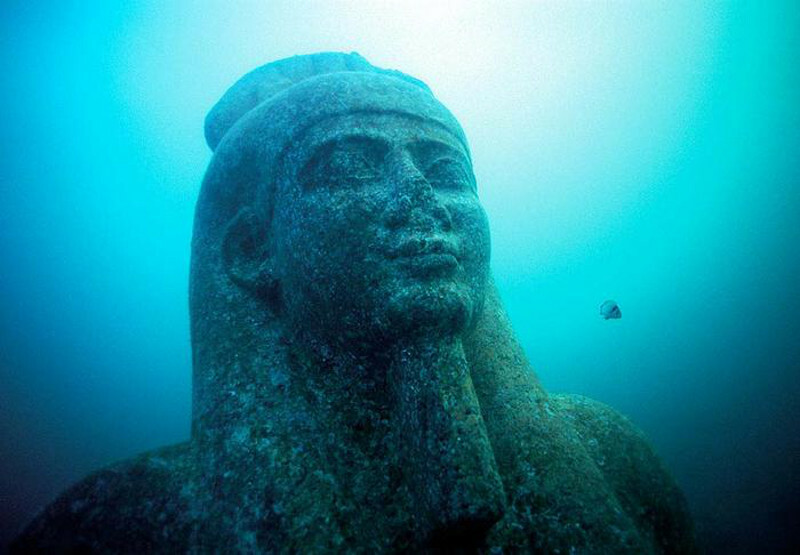 A new documentary highlights the major discoveries that have been unearthed at Thonis-Heracleion during a 13-year excavation. Exciting archeological finds help describe an ancient city that was not only a vital international trade hub but possibly an important religious center. The television crew used archeological survey data to construct a computer model of the city . Researchers have also uncovered a variety of religious artifacts in the sunken city, including 16-foot stone sculptures thought to have adorned the city’s central temple and limestone sarcophagi that are believed to have contained mummified animals. But despite all the excitement over the excavation, one mystery about Thonis-Heracleion remains largely unsolved: Why exactly did it sink? Goddio’s team suggests the weight of large buildings on the region’s water-logged clay and sand soil may have caused the city to sink in the wake of an earthquake.